The members of the Mexican Stand Up Paddle Team, most of who are from or live in the Riviera Nayarit, will be taking part in this new tournament, guaranteeing a high level of competition. 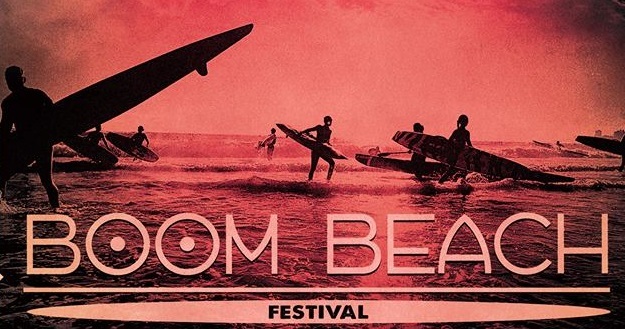 The 1st Lo de Marcos Boom Beach Fest will be held January 16-17, 2016, making it the first Stand Up Paddle (SUP) tournament in the Riviera Nayarit for the year. The Riviera Nayarit Convention and Visitors Bureau and its Groups department are lending their full support to this event, which encourages the region’s iconic sport. At the moment nearly all the members of the Mexican SUP team have been confirmed, including the medalists from the past SUP World Tournament held in Sayulita in 2015. They’re also expecting paddlers from Manzanillo, Mazatlan, Baja California and the entire Pacific coast region. The top matches will be SUP Surf, SUP Races and Shortboard Surfing, all open to pros and amateurs as the objective is friendly competition. The winners will take home a gorgeous trophy made of Huichol beadwork. “We put together shortboard and SUP to showcase the union of the two disciplines and how what’s most important is to just have fun and coexist,” added Cruz. The registration has a $450 peso cost recovery fee that includes breakfast and lunch for the two days of the competition. The first day will be made up of elimination rounds with finals on the second day. There will be a site set up for camping with all services included. Besides the Men’s and Women’s divisions there will be races for children and beginners, surf clinics, SUP and many other activities on the beach at Lo de Marcos. Oliver Cruz, who’s part of the national all-star SUP team, is organizing this tournament together with Olinka, a recently created civil association. For more information visit https://www.facebook.com/boombeachfestival.